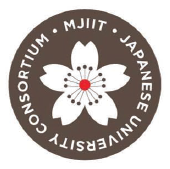 Malaysia Japan International Institute of Technology (MJIIT) - Japanese University Consortium (JUC) Joint International Symposium 2013 will be held on Nov. 6 - 8, 2013, at Tokai University, Hiratsuka, Kanagawa, JAPAN. 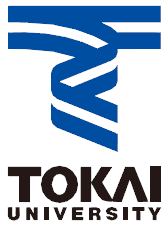 Information on shuttle bus services between Tokai University and hotels in Atsugi and Hadano is now available. 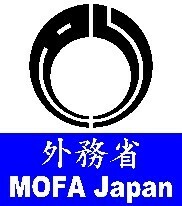 Please be aware that from Atsugi to Tokai, the bus will depart from Hotel Vista Atsugi. We'd like to make a humble request to all the participants to attend the opening ceremony where many distinguished guests will kindly give ceremonial addresses for us. The opening ceremony will be held at Nexus Hall, starting at 10am on 6th, Wednesday. Each oral presentation will have 20 min in total, 15-min for presentation and 5-min for Q&A. This is a reminder to those who will attend from foreign countries. Please be sure to bring enough japanese currency for registration because there is no currency exchange nearby and we do not accept any foreign currency including US dollars. Poster Session and Special Session are open to public. Everybody is welcome to attend without a registration fee. Each poster presentation is provided with one A0 (A-zero) poster size area. Pins to put up a poster will also be provided, but there will be neither table nor electricity. Your poster can be put up any time after the venue becomes available. You need to take off your poster immediately after the session is over. We have changed our policy on the factory visit tour. Now it is open to all participants and the seats are available on first-come, first-served basis. Please visit the registration page for more details. The registration page was opened. We have already stopped receiving papers. This is to clarify the four-page limit of contirubuted papers. Your submitted paper will be treated as a full paper for the subsequent review process. We strongly advise authors to submit a "4 page" paper instead of a 2 or 3 page paper although the guideline says "no more than 4 pages". On behalf of the MJJIS2013 Organizing Committee, this is to advise you that due to demand, the deadline for Contributed (4-page) Papers to MJJIS2013 has been extended from 26 July 2013 to 4 August 2013. There will be no further extension due to a tight schedule of the following review process. 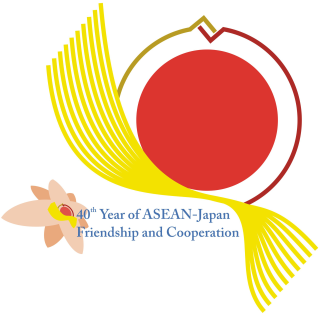 (a) To promote communication and dialogue among MJIIT, JUC, industry and other ASEAN institutes for future collaboration. (b) To foster friendship between researchers, engineers and students from the related organizations. (g) Special Industry Session: "Japanese-style Human Resource Development in ASEAN countries"
The targeted authors are but not limited to post-graduate students, young researchers or engineers. Authors are expected to present their papers at the Symposium upon acceptance and presenting authors are required to register for the Symposium. Awards will be given for excellent papers/presentations (oral/poster). Student registration fee needs to be raised due to an unexpectedly large volume of student participation.